EFSA has launched an open consultation on its new guidance for the scientific requirements for health claims related to muscle function and physical performance. 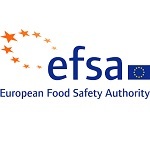 You can submit comments to EFSA on this draft until 02 September 2018 here. Orchidali and Specialized Nutrition Europe obtained a positive opinion for a health claim related to physical performance ! – EFSA Opinion here. Don’t hesitate to contact us for health claim applications !